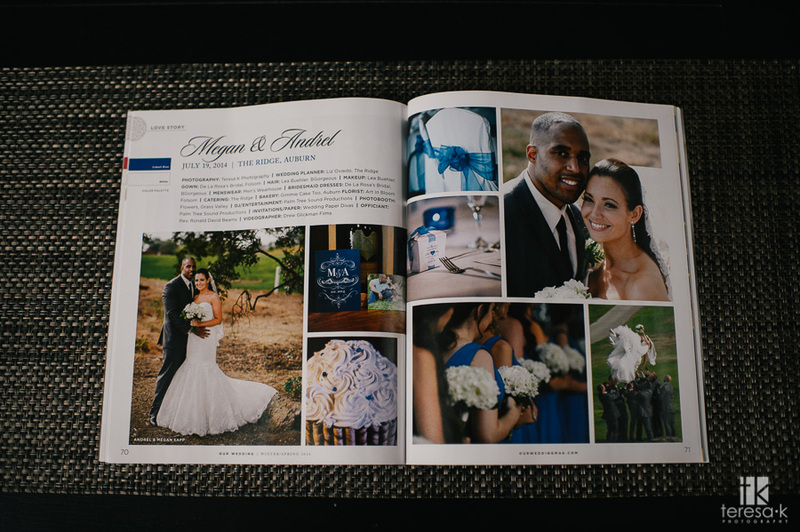 Our Wedding Magazine Feature – 2016 Winter/Spring edition - Sacramento Wedding Photographers | Teresa K photography Facebook Twitter Instagram Pinterest Client's Area Search this site. 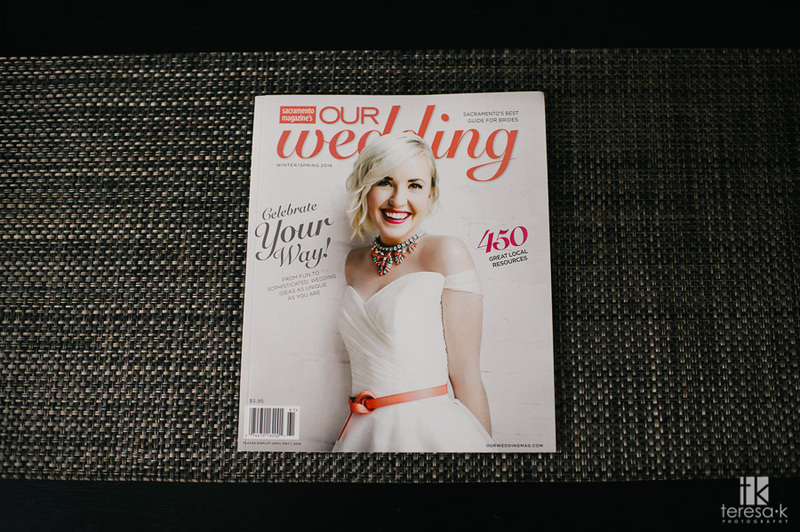 I love Our Wedding Magazine. 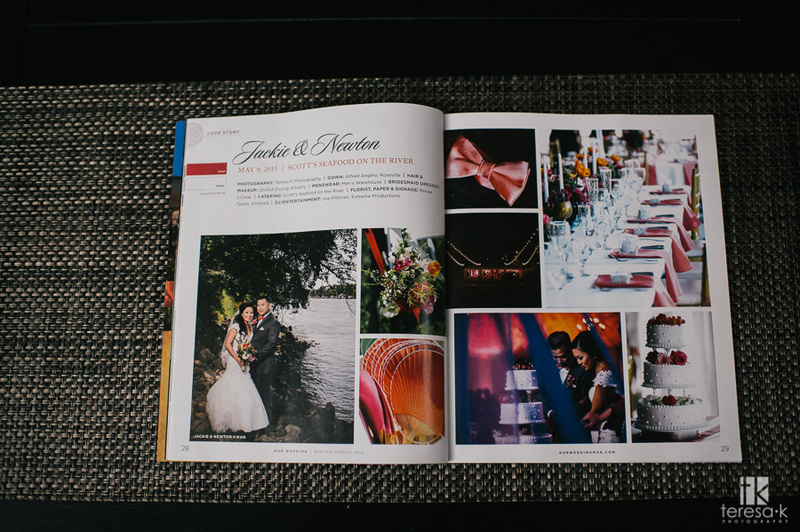 The layouts, the styling, all of it! This is my second time being featured; and, I’m super stoked to say I had not one, not two, but THREE features for this edition!! I’m 100% sure it has everything to do with my amazing couples and all the love and care they put into planning their weddings. I’m just happy to be there to capture it all. 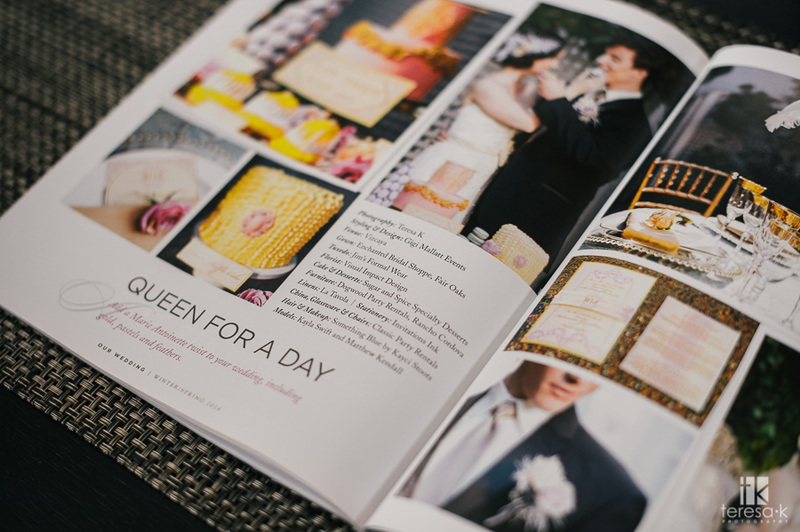 Yes, the weddings were planned magnificently and the couples looked absolutely wonderful — and so very happy. But without you there to capture it, the rest of us wouldn’t have gotten near the vicarious excitement and feelings of love that we did. Thanks so much for benefiting the world with your talent. It’s an absolute gift.